Paytm offers refreshed ,now Get 250 Rs cashback on 2000 or more DTH recharge,100 on 500 or more DTH Recharge, get ,5% cashback on all Mobile recharges from paytm valid for all Mobile operators and both old and new paytm users,also get cashback on Prepaid mobile recharges and postpaid bill payments,and if that isn’t enough you can also get 20% cashback on your bus tickets,the recharge and bus offers can be availed using coupon codes,use the codes mentioned below in the respective box at paytm to apply the offer. 1)Get 10 Rs cashback on 50 Rs or more recharge 5 times:-Recharge your Mobile,DTH or Pay bills for 50 Rs for more and get 10 Rs cashback 5 times,using the coupon AUGRECH50 ,To avail this offer just head to paytm app login or signup for your account and initiate a recharge for 50 Rs or more,Apply the coupon,complete the transaction and get 10 Rs cashback you can use this coupon for upto 5 times to get a cashback of 50 Rs in total. 2)Recharge for any amount and get 5% cashback:-Get 5% cashback on all your recharges at Paytm,This offer is applicable for all the users,on paytm site or app platforms and any amount rechargeTo avail this offer just head to paytm and initiate your recharge for any amount,apply the coupon code RECH5 and complete the transaction to get the cashback,offer valid for upto 3 times per user,maximum cashback upto 200 Rs. 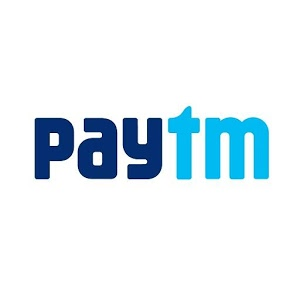 3)Get 250 Rs cashback on 2000 Rs or above DTH Recharge:-Recharge your DTH Connection from Paytm for 2000 Rs or more and get 250 Rs cashback,To avail this offer just head to paytm site and initiate a DTH Recharge for 2000 or more,apply the coupon DTHTV250 and complete the recharge to get the cashback. 4)Get 100 Rs cashback on 500 Rs or more DTH recharge:-Recharge your DTH 500 Rs for more and get 100 Rs cashback ,using the coupon code DTHNEW ,To avail this offer just head to paytm site login or signup for your account and initiate a DTH recharge for 500 Rs or more,Apply the coupon,complete the transaction and get 100 Rs cashback. 5)Get 20% cashback upto 200 Rs on Bus tickets:-Book bus tickets for your travel at paytm and get 20% cashback in your paytm wallet,To avail this offer head to paytm,and initiate your booking,apply the coupon code TRIP20 and complete the transaction to get the cashback,Valid for upto 3 times per user,now plan your trip and book the bus ticket using paytm,save money and use them to get a free recharge or shopping experience at paytm. 6)50% cashback on Bus tickets for 200 or more:-Book Bus tickets for 200 Rs or more and get 50% cashback upto a maximum of 150 Rs,to avail the offer just head to paytm site and initiate your booking,apply the coupon AUGBUS50 and complete your booking to get the cashback,coupon can be used for 5 times by each user,per day. 1)Get 50% cashback for Booking Meru cab using Paytm wallet:-Book a meru cab using your Paytm wallet and get 50% cashback upto a maximum of 100 Rs,valid for upto 1 transaction for each user,To avail this offer just head to the landing page link and buy the offer for free,then goto the target link and initiate your Booking ,make the payment using Paytm wallet and get the cashback in 2 days.